Why has Star Wars endured? It’s a question with no easy answer, but I think it comes down to texture. The Star Wars universe has so many colorful characters, so many fully realized worlds, so much odd detail. The strength of the world built by George Lucas (and countless others) is less in its long term storytelling—hell, the best details were added on the fly—but in its potent emotional immediacy. It’s tragic and poignant when Luke arrives home to find his surrogate parents brutally murdered by the Empire’s jackbooted thugs, and yet it’s never brought up again. Star Wars is rooted distinctly in the here and now, which is probably a big part of why watching one of the (good) entries in the series is so thrilling. The Empire Strikes Back is widely considered the best of the original trilogy and I think, more than the Empire’s brutal assault on the Rebellion’s doomed Hoth base, more than the first time we hear John Williams’ “Imperial March,” more than Yoda lifting that X-Wing out of the swamp, the reason that’s true is because of the film’s Cloud City sequence. The Bespin scenes of Empire pack in so much into such a little space, maybe more than is immediately obvious to even a seasoned Star Wars viewer. Han Solo’s a deceptively interesting and nuanced character in the grand scheme of Star Wars. His arc in the first film is his transition from a self-interested scumbag to a valued, trustworthy ally to the Rebellion. By the time we catch up with him on Hoth, Han’s clearly come a long way from the guy who has to be bribed into rescuing Princess Leia from imperial execution. However, we’re reminded often that Han still has a bounty hanging over his head from his repeated failure to pay back Jabba the Hutt. “A death mark’s not an easy thing to live with.” a Rebel general tells Han, almost in passing, when Han informs him that he has to leave Hoth. Empire is a film about Han’s unsavory past karmically coming back to haunt him in more ways than one, and that all comes to a head in Cloud City. The B-plot of Empire Strikes Back is Han, Leia, Chewbacca and C3PO on the run from the seemingly tireless forces of the Empire. It’s Han’s idea to hide out with Lando “Not a system, he’s a man” Calrissian, who Han appears to know and considers a friend. It’s worth pointing out that this is the first and only detail we ever get regarding Han’s past in all three original Star Wars films. When the Millennium Falcon arrives in Cloud City, it’s treated with overt hostility. When Han comes face to face with Lando, it’s revealed that the two parted on very bad terms (with the implication that Han won the Falcon from Lando under shady circumstances). Their first on-screen meeting is fascinating: Ford’s sheepishness and shame as Han, Lando’s righteous indignation which then slides into good natured camaraderie. Lando, to Han’s surprise, seems happy to see him. Leia’s not buying it, though. 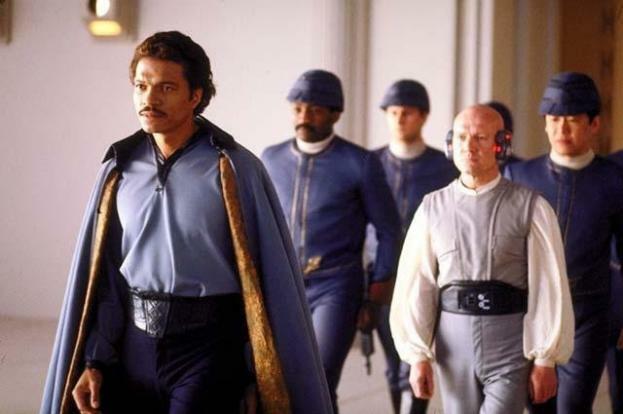 Lando, like Han, has apparently grown up and gone legit: He’s the administrator of Cloud City, overseeing its methane mining operation and acting as a small-time leader to the city’s populace. With the knowledge that Lando is lying to Han’s face (remember, the Empire beat our heroes to Bespin and this is all a trap), Lando and Han’s scenes gain a strange new dimension. Why is Lando doing all this? You buy that most of it’s out of obligation to his people, with Darth Vader having apparently offered Calrissian a Faustian deal to look the other way regarding the mining operation if he hands over his former friend and his comrades. But how much of this is rooted in lingering anger Lando has towards Han? Han beat Lando in (what we can presume) was a card game the last time they saw each other, Lando’s returning the favor with a calculated bluff of his own. His speech to Han as he walks him right to Vader and Boba Fett’s doorstep, ending right on “I’ve just made a deal that’ll keep the Empire out of here forever,” adds insult to injury. Lando follows it up by apologizing, and says he has no choice. Here’s what’s interesting: Han responds “I’m sorry too.” Why’s Han sorry? For screwing him over years prior? For believing that Lando had truly changed? It’s ambiguous. But it’s clear that, thanks to the Empire, neither man is allowed to truly go “legit.” There’s an extra added layer of irony in that our heroes’ damnation is happening in Bespin’s serenely beautiful, heavenly environ. With the Empire’s trap sprung, Han is submitted to a series of indignities: he’s tortured for seemingly no reason (we know it’s to bait the emotional hook for Luke on Dagobah) before being callously used as a test subject for the facility’s Carbonite freezing chamber. Compare Han’s attitude in these sequences to scenes with him earlier in the film, where he’s obnoxious and flippant with Leia even in the midst of certain doom. Here, Han’s different. He knows there’s no shooting or tricking his way out of this one. Han doesn’t beg, he doesn’t curse Vader. He accepts his fate with an almost eerie calm, thinking only of his best friend and the woman he’s fallen in love with. Han’s “I know” in response to Leia’s “I love you” was apparently an ad lib from Harrison Ford, but the reason it’s such a great line is in how much he says with two words. “I know” you love me and that’s what I’m afraid of. “I know” and I’ll never get to see you again. “I know” and I’m sorry. As Williams’ score crescendos, Han doesn’t have time to say anything else before he’s transformed into a massive tombstone. As interesting as Han’s arc is, Empire is Luke’s movie through and through. There are a number fascinating visuals that specifically come into play when Luke arrives in Cloud City. Notice how out of place Luke looks in his beat up grey combat fatigues sneaking around the gleaming, spotless whiteness of the Cloud City corridors. It’s a brilliant visual signifier that Yoda and Obi-Wan were right—Luke shouldn’t have come here. After helping rescue Leia and Chewbacca from Boba Fett and a regiment of Stormtroopers, Luke goes to his inevitable confrontation with Darth Vader. Although Luke enters from below, the dimly lit Carbonite chamber’s mysterious fog and burning oranges is reminiscent of the underworld (appropriate given Han’s fate here a few minutes ago). There’s nightmarish quality to Luke and Vader’s duel, not just in the aesthetics of the environment but in Luke’s powerlessness against the man he does not know to be his father. Luke (and the viewer) hears Vader well before he sees him and when he’s finally visible, it’s as if he appeared out of nowhere. Everything about this fight is so beautifully choreographed, from the silent eternity between father and son before their lightsabers clash to the very distinct differences in how each warrior fights (Luke’s two-handed broad swipes at the start are easily fended off by Vader’s causal one hand rejoinders). For Luke, this duel is a fight to the death, but for Vader it’s an opportunity to teach. You can feel him pulling his punches here, and there’s a sort of wry mentorly pride in James Earl Jones’ voice when he bellows “Impressive. Most impressive.” A big part of why the lightsaber sequences in the prequels fall so flat is because there aren’t stakes behind them, and the Vader/Luke duel here has no shortage of internal drama behind each stroke. As Luke and Vader’s fight goes on, the underlying tension of sequence only ratchets up. Their fight destroys the environment around them, setting off a distant siren after Vader unintentionally slices through a large industrial hose. After Luke knocks Vader off a ledge, he goes down to investigate his presumably fallen foe. This time when he finds Vader, he’s wielding his weapon with both hands. The time for games is over, and Luke’s way out of his depth. Vader sadistically bashes Luke in the head with force-manipulated debris before sending him flying out a window. Vader’s lightsaber attacks are ferocious and relentless when they are once again face to face. If Vader isn’t willing to kill his son, it’s clear he’s not above hurting him very badly. The dream-like quality of Luke and Vader’s fight is never more obvious than in its conclusion, what I’d argue is the most crucial moment in all three films: Vader cutting off Luke’s hand and revealing his identity as Anakin Skywalker. 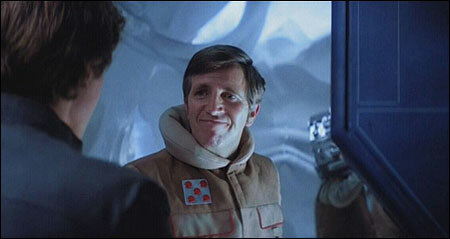 Luke, for the first time in the fight, reacts with fear and anger at Vader’s declaration. Luke’s prophetic vision in the cave of his own face behind Vader’s helmet has been horrifically realized right before his eyes. Luke, finding himself tempted by his father’s offer of a place at his side, does the only thing he can: he drops to his death. Luckily, he survives the fall and escapes, but the implication here isn’t subtle: Luke lost this fight. 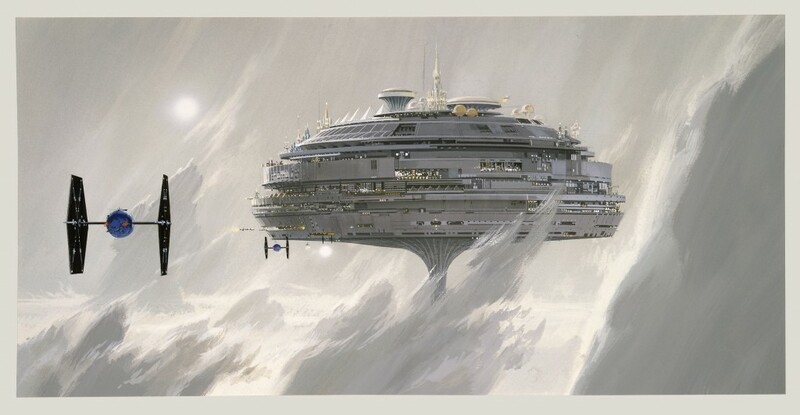 Cloud City is a massive turning point not just for our heroes in the context of Empire Strikes Back, but in the trilogy as a whole. Irvin Kershner and George Lucas send our heroes to Hell; it’s sweeter when they triumphantly fight their way back in the next installment because of it. ← Previous Previous post: Deadshirt New Comics Shopping List: Klaus and Judge Dredd!